This work agreement outlines the understanding between the Bride and Groom, hereinafter referred to as the ‘Client’, and True North Photography, hereinafter referred to as the ‘Photographer’. A submitted booking form along with the initial booking deposit are necessary to confirm the stated photography services from True North Photography. A booking deposit secures the date, time and services of True North Photography for the wedding stated and is non refundable in the event of cancellation. The balance of payment is then due one week prior to the wedding date. No photographs, products or wedding albums will be delivered until all payments due have been paid in full. Payment for additional products and services is to be made when they are ordered, and will be invoiced separately. The agreement between True North Photography and the Client shall not become effective until the deposit has been received. Once paid, True North Photography shall reserve the date and time agreed upon and not make any other reservations or accept any other clients for the stated. In the event that the Client cancels, the deposit paid shall be retained by True North Photography in order to offset loss of business. The booking deposit is non-refundable in the event of cancellation and considered liquidated damages to the Photographer. All cancellations must be made in writing. Weddings that are postponed to a later date will transfer the fee as long as the Photographer can re-schedule for the new date and time. Services or merchandise not included in this agreement will be sold when the order is placed and invoiced separately. The Client agrees to pay the Photographer as per the payment schedule supplied. The initial deposit shall serve as a non-refundable booking fee to secure the booking date with the Photographer. No photography services and no rights will be granted until all payments are made in full. The Clients and the Photographer consent to happily cooperating and communicating with each other to achieve the best possible result within the understanding of this agreement. We recommend that the Photographer be provided with a helper (usually a family member) who will point out key individuals to be photographed. The Photographer may also require the assistance of this person in organising family groups. The Clients also agree to give the Photographer sufficient warning of key events at the wedding to give the Photographer time to prepare e.g. Bouquet throwing, grand entry, cutting the cake, etc. Please note that not all guests at weddings like having their photo taken. In such cases the Photographer will use their discretion but cannot be held responsible for a lack of photos of these people. Our shooting schedule, style of working and experience are designed to achieve a beautiful set of wedding photos for the Clients, accomplished with good humour and enjoyed by all concerned. Both the Clients and the Photographer therefore agree that punctuality and cooperation are essential to produce excellent photographic results. In cases where the wedding does not run on time due to unforeseen circumstances, the photographer cannot be liable to take the normal set of photos although in such cases will always endeavour to compensate as best as possible. If wedding guests have digital cameras and want to photograph the Clients, the Clients agree to give the Photographer precedence over guests in order to take the images required for the wedding services described. The Photographer will not be held liable for loss of photos due to guests blocking the Photographer’s view. For example, guests taking photographs while standing in the aisle during the ceremony can block the Photographer’s vision and restrict movement. Note, the Photographers are sometimes limited by rules imposed by registrars, ministers and venue management as to what can and cannot be done. For example some ministers insist that no flash photography is allowed, and others will insist that the Photographers shoot from a specific location. In such circumstances the Clients agree to accept the technical limitations that may be imposed on the equipment used. We advise the Clients to make themselves aware of the rules of the venue concerned and if necessary negotiate with the personnel concerned. The copyright of photographs remains with the Photographer. The Photographer grants the Clients permission to make copies of the images under the following conditions. The images taken by the Photographer are for personal use by the Clients and their friends and relatives. Sale, Publication or any Commercial use of the photographs is not allowed without prior written permission from the Photographer. If a photographer is physically too ill or becomes seriously injured and cannot supply the wedding services specified above, the Photographer will work with the client and utilise his network to book a replacement photographer. If a replacement photographer cannot be found or agreed upon then liability is limited to a full refund of any payments received. The Photographer is not responsible for compromised coverage due to causes beyond the control of the Photographer including but not limited to obtrusive guests, lateness of the Client or guests, extreme weather conditions, unscheduled complications, duration of ceremony, incorrect addresses provided to the Photographer, rendering of decorations, or restrictions of the locations. The Photographer is not responsible for backgrounds or lighting conditions which may negatively impact or restrict the photo coverage. The Photographer is not held liable for missed coverage of any part of the event(s). The Photographer will not be held accountable for failure to deliver specific images of any individuals or any objects at the event(s). The Clients agree to indemnify and hold harmless the Photographer for any liability, damage, or loss related to technological failure. Cameras, hard drives, and memory cards are subject to technical failure. The Photographer will always take extreme care and dutiful steps to prevent any data loss, but is not liable for loss of data due in the unlikely event of complete technical failure. The Photographer will have back-up equipment and procedures measures at hand to mitigate technical failure at all times. The Photographer is not liable to deliver every single image taken at the event. The determination of images delivered to the Client is a service provided by the Photographer and is left to the discretion of the Photographer. Only edited jpeg files will be delivered to the Client, no Raw files or CR2 files will be supplied by the Photographer. The number of photos supplied is left to the discretion of the Photographer. High resolution images will be provided in sRGB colour space at 300dpi and 4000pixels on the longest side. Low resolution images will be provided in sRGB colour space at 72dpi and 1500 pixels on the longest side. The final post production and editing styles, effects, and overall look of the images are left to the discretion of the Photographer. You have viewed the Photographer’s existing portfolio of work and are happy with the style of editing. Editing will include Colour Correction, Brightness, Contrast, and removal of non permanent blemishes on close formal portraits. Requests for further editing will be charged at $88 per hour. Digital processing and USB creation takes approximately 6 weeks. However, other factors can contribute to this timeline increasing to 8 - 10 weeks during peak wedding seasons.  If delivery is delayed True North Photography will be in contact regarding the status. Creation of a wedding album proof takes 6 - 10 weeks from the wedding date. Once the album proof has been approved by the Client, the order can take 2 - 4 weeks for printing and delivery. True North Photography will aim to deliver the client images in a timely and professional manor.